A couple months ago I tried the Northampton Arts Night Out with my family and few friends, but didn't find much going on. Esme and I went out last night and were very pleased to find LOTS of things happening! We started at the Smith College Art Museum. On second Fridays admission is free and they have lots of activities for families. Esme got to get her face painted, have some snacks, and do some beading. The best part was a coloring book with different images throughout the museum in it - she loved tracking each of the paintings down. 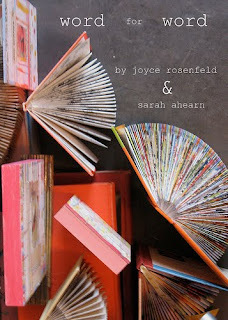 Next we headed over to Pinch, to see this show by one of my favorite local artists, Sarah Ahearn. I got to meet her at Paradise City last Fall and I love her collages/paintings. Her new work is wonderful and I was glad Esme and I got a chance to talk to her for a few minutes. The last thing we did downtown was stop by A.P.E. Esme was fascinated because there was a man in the window doing a bit of a performance piece. He was painted himself and he would slowly move to pretend to be painting color onto a real flower. Esme has been to several animatronic science shows lately, and would not believe that the man was not a robot, no matter how many times I insisted otherwise. We went inside and watched for a bit, and even then back outside on the sidewalk it was hard to tear her away. It was a very nice evening out with my baby! I love sharing these things with her!